GODIVA Chocolatier has launched what they’re calling the first “global corporate philanthropy effort” called the Lady GODIVA Program. The cause marketing initiative includes a nomination contest and the company has announced Lauren Bush, Co-Founder of FEED Projects, as the first honoree. To kick-off this collaboration, and support Lauren’s charity FEED, GODIVA will sell a GODIVA “FEED 10” tote bag in GODIVA stores and on Godiva.com. 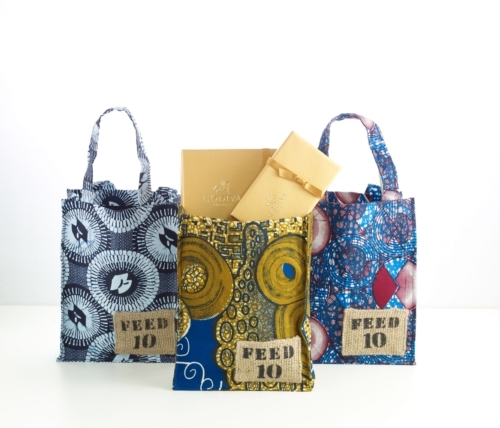 The GODIVA “FEED 10” tote bags ($25), which are created in Liberia, will provide 10 school meals to children in African cocoa-sourcing countries. Future honorees will be chosen on a seasonal basis and an overall “grand prize” winner will be chosen from the regional winners at the end of the year and will receive a $10,000 prize. This initiative provides an interesting mash-up of individual award and cause campaign. Selecting a female nonprofit leader as an honoree and then developing a cause campaign around their charity is certainly a new way to partner with a cause. As with all voting contests, the key to the success of this nominating process will be encouraging both interest and participation. The success of the program overall will likely depend on the caliber of honorees and contribution to their cause.